New Exit Strategy for Mature Manufacturers—Acquisition by Asian Firms shows how process excellence can inject new vitality into ailing manufacturers. Picture this: you are the CEO of a venerable manufacturer that has been besieged by price pressure, increased imports and high capital costs. Revenue has been barely edging up, and profits have been negative three of the last five years. You have had to lay off a significant portion of manufacturing personnel, many of whom had been with you more than a generation.Your ship is still taking on water despite best efforts, and you do not know where to turn. Noodle IV: Web 2.0 Pureplays vs. Enterprise Vendors: A Real Battle? Web 2.0 Pureplays vs. Enterprise Vendors: A Real Battle compares the value propositions of Web 2.0 pureplays and traditional vendors. Dennis Howlett, writing in the Irregular Enterprise on 19 March, made the case that enterprise IT just didn’t get social networking and start-ups were going to make some serious hay by bypassing IT and selling right into the business. He had also included a YouTube video in which CIOs commented on the question, “Is Enterprise 2.0 hype or happening?” which provided some light-hearted snippets about a profound subject. There was some valuable information in the post, but I found that it was approaching the issue from within the old paradigm (“battle on two fronts”), and therefore largely left money of the table. I’ll peel the onion here, so get ready to well up. After James Owens’ luncheon address, the Executives’ Club of Chicago’s 2007-08 Technology Conference series opened with the CIO of the Year Award and a sneak preview of the 2008 Chicago Technology Outlook Survey. Then a diverse panel of executives took the stage to discuss the role of the CIO in the “networked economy 2.0.” Bahman Koohestani, Senior Vice President &amp; Chief Information Officer, Orbitz Worldwide, Paul Mankiewich, Chief Technology Officer, Alcatel-Lucent and Karenann Terrell, Chief Information Officer, Baxter International, shared their visions for the evolving role of the CIO and IT. John Gentry, Partner and Managing Director, CSC Consulting, moderated the panel discussion with aplomb. 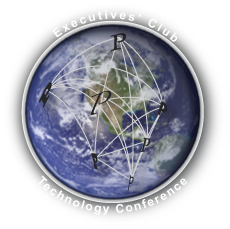 The Club’s quarterly Technology Conference took place October 16 at the Chicago Hilton. Leadership, Trust and the Globally Integrated Enterprise reports on IBM’s CEO as he articulated a prescient vision for the enterprise—adapting to the Knowledge Economy. 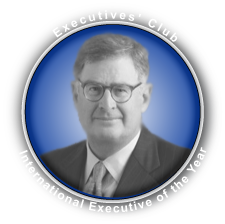 Samuel J. Palmisano, Chairman, President and Chief Executive Officer of IBM Corporation, outlined a new version of the enterprise at a lunch honoring him with the Executives’ Club of Chicago’s Thirteenth Annual International Executive of the Year Award April 12, 2007 at the Chicago Hilton. Entitled “Leadership, Trust and the Globally Integrated Enterprise,” his speech emphasized key points from his Summer 2006 article of the same name in Foreign Affairs. He was especially interesting to hear due to his experience with leading one of the world’s foremost global enterprises as well as his insight from serving global enterprises in every industry. Volatility of customer wants and diversity of markets around the world will increasingly demand that enterprises innovate if they want to remain relevant because their current product introduction and innovation processes are woefully insufficient. In addition, several “structural enablers” are driving down the cost of collaboration—globalization, enterprise software maturation, e-collaboration tools and BPM solutions. I think it’s beyond dispute that “emerging” markets around the world look at India as a model, and there will be a cascading wave of new outsourcing providers entering the market in the years ahead, keeping downward pressure on supplier prices and forcing increased innovation across the supplier value chain. For example, many educated young people in these markets are native with e-collaboration tools, which should lead to new models of collaboration. SOA and Web services are increasingly ingrained in enterprise software, opening up legacy and new solutions to web-based, granular sharing of information. BPM, because it digitizes an increasing spectrum of the business process, is an enabler of outsourcing. For most of the history of mankind, information has been scarce, and an important way that people innovated was through discovery. In agrarian and industrial economies, it was extremely important to discover new ways to transform raw materials in order to create new products. Since people lived in relative isolation compared to today, there was significant duplication of discovery efforts in pockets around the world. The pervasive TCP/IP network (i.e. Internet), combined with accelerating adoption of modern architectural approaches (i.e. service-oriented architecture) and messaging (Web services and XML) is unlocking the world’s data/information as a dizzying pace. It’s a cliché that we have too much information, and this trend shows no sign of abating. 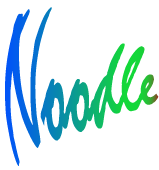 Moreover, software tools for automating the management of information are improving all the time. Of course, this development gives people an unprecedented ability to collaborate—on everything. In the knowledge economy, discovery gets leveraged, pervasively and instantaneously. Discovery will remain extremely important to creating value, but I’m going to argue that it will play a cameo role in the hyper-innovation knowledge economy: crucial but supporting.